The text written into the bottom of this piece is "Seek the wise but remember they are dust...variations on a unified theme." It is taken from a poem in Michael O'Brien's Island of the World. 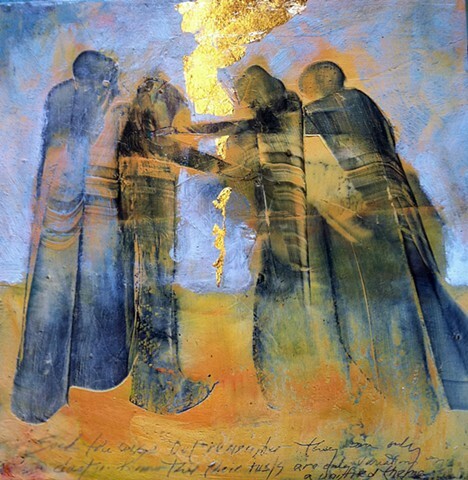 It references the the unified theme of the gospel writers,Matthew, Mark Luke and John, who tell of The Savior, Christ the Lord - "the glory of God in the face of Jesus Christ." See my blog post: www.gracebomer.wordpress.com/2015/12/25?